The Social Work Education Enhancement Program (SWEEP) is a three-year partnership with Vietnamese Institutions to enhance social work education in Vietnam. The initiative will develop and implement undergraduate social work and policies and practice for social work faculty and administrators. Through this $2.5 million project, USAID, San Jose State University, and Cisco Systems are collaborating with top universities in Vietnam to strengthen Vietnam’s higher education social work programs to deliver quality education and prepare trained, job-ready, social workers. Following the Ministry of Education and Training's recognition of social work as a profession in 2004, there are now more than 40 universities and colleges providing undergraduate social work training in the country, with more than 2,500 graduates. The program aims to develop systems to strengthen higher education management and administration, devise processes to enhance faculty development opportunities and programs, and develop and employ relevant curriculum adaptable to the changing knowledge and needs of the field. 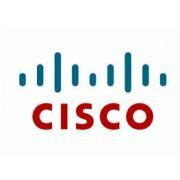 Together with private-sector partner Cisco, the program will create a 21st century model for higher education content and use of technology networks to improve teaching and leadership skills and strengthen collaboration. San Jose State provides a comprehensive university education, granting bachelor's and master's degrees in 134 areas of study. Quality teaching and small classes are a priority at SJSU, where tenured professors teach introductory as well as advanced courses. One of the 200 top research universities in the nation, SJSU offers rigorous course work and research opportunities to more than 30,000 undergraduate and graduate students in seven colleges. Through its seven colleges, the university offers 73 bachelor's degrees (146 with all concentrations) and 71 master's degrees (104 with all concentrations). Mission: to enrich the lives of its students, to transmit knowledge to its students along with the necessary skills for applying it in the service of our society, and to expand the base of knowledge through research and scholarship. Some of the best learning experiences at San José State emerge where academia meets the wider community. Students at SJSU benefit from the many partnerships the university has built across Silicon Valley and our campus initiatives seek to mirror the values of diversity and sustainability mirrored in both local communities and the high-tech industry. CommUniverCity - CommUniverCity San José is a collaborative project of the Five Wounds/Brookwood Terrace communities, San José State University and the City of San José. The unique organization empowers students and residents to build community through service-learning projects that address education, community health and improvements to the neighborhood. Moss Landing Marine Laboratories - Led by San José State, Moss Landing Marine Laboratories host and administer an interdisciplinary Master of Science Degree in Marine Science for a consortium of seven California State University campuses in northern and central California. Mineta Transportation Institute - In partnership with the SJSU College of Business, the Mineta Transportation Institute is a national University Transportation Center and a Center of Excellence specializing in policy studies related to surface transportation. Reid-Hillview Aviation Facility - San Jose State University partners with Santa Clara County’s Reid-Hillview Airport to train students for careers in aviation, airline maintenance, administration and technology. Diversity Initiative - San José State University considers diversity to be an institutional value and is committed to making diversity and inclusiveness central to our institutional and educational mission and practices. Sustainability Initiative - Promoting a culture of sustainability is part of the educational and outreach missions of San José State University. Martha Heasley Cox Center for Steinbeck Studies - Founded in 1973, the Martha Heasley Cox Center for Steinbeck Studies is the largest Steinbeck archive in the world. The Center houses over 40,000 items including manuscripts, original letters, inscribed first editions, secondary works, film memorabilia, films, cassettes, and over 1,400 photographs. Sourisseau Academy for State and Local History - The mission of the Sourisseau Academy is to promote local history through sponsored research, educational programs, and publications. The academy maintains a photograph collection and historical ephemera relating to the history of Santa Clara County and the central coast region of California.